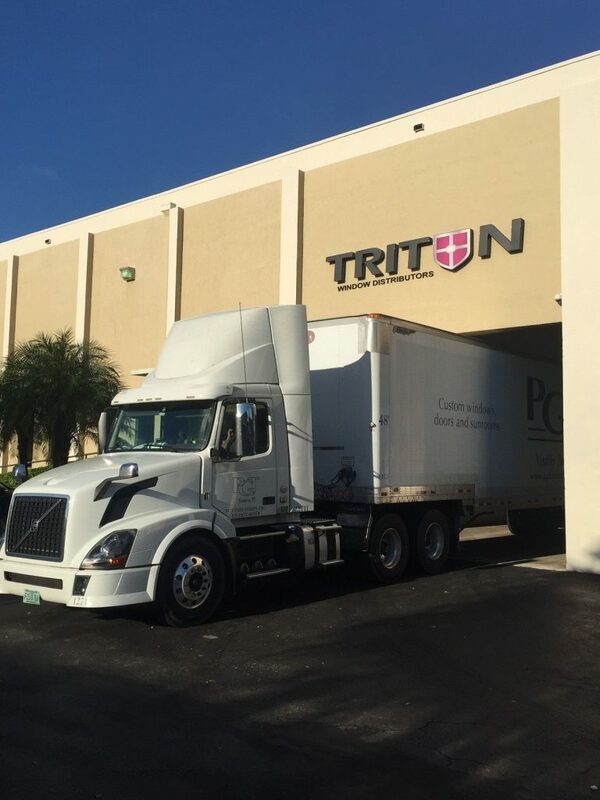 Triton Window Distributors is a leading contractor in the South Florida window and door industry. Our company primarily focuses on providing product and installation for replacement residential applications. The steady growth on our commercial storefront side has allowed us to serve developers and builders more effectively as well. Another group that we cater to are those in the Caribbean. From initial contact to final delivery, we make exporting windows and doors easier for all those involved. Triton Windows only sells products that come from manufacturers that stand behind their products. Over the past few years, we have experimented with and sold many different products from many different manufacturers and now have a list of Manufacturer’s who create quality products, offer excellent warranties and stand by their products. Triton’s main product lines include aluminum impact resistant windows and doors as well as vinyl insulated glass units. Projects range from single family units to multi-story commercial applications. Customer Satisfaction and attention to detail has been the company’s main objective since its inception in 2004. The company is staffed by industry experienced personnel and installations are never subcontracted, ensuring quality and experience on every project. Triton Window Distributors focuses on educating and guiding our customers from our very first contact with the customer – initial meeting and quoting process – to ordering your product – design, order, installation, inspection – to after final closure of the project – service. In order to ensure customer satisfaction, Triton Window Distributors offers a 12 month warranty on all of our installations. All products sold by Triton also come with individual Manufacturer Warranties as well. At Triton Window Distributors, we realize the importance and value of each person’s home. Not just from a monetary standpoint, but from a comfort and way of life perspective. Our goal is to have each of our customers look on their experience and feel satisfied with their finished product.